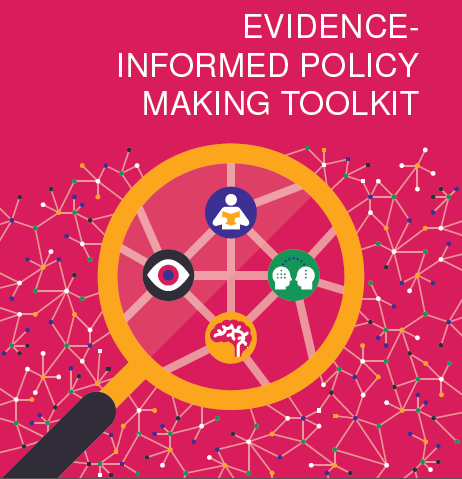 A couple of weeks ago, my colleagues and I ‘soft launched’ our Evidence-Informed Policy Making Toolkit via a webinar. This was a great opportunity for us to share a final draft of our Toolkit with a global audience of policymakers and practitioners in the sector to gather feedback and first impressions. We’ve now been through a review process and the final version of our Toolkit is available for download here. Q: Why have you chosen to work with researchers and analysts instead of high level policymakers? A: We tried to break down what ‘policymaker’ really means. The Toolkit focuses on strengthening skills of those who produce reports, briefs and fact sheets to inform decision making. 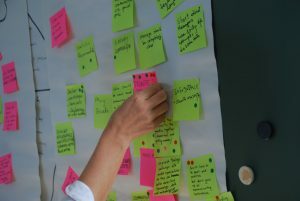 The idea is to build a strong process to systematically gather, appraise and communicate evidence for decision making. 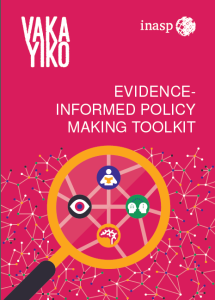 We used the Toolkit as one part of a range of capacity building activities; we also developed strategies to incentivise the demand for evidence from higher level policymakers. This included: running sensitisation workshops, mobilizing individual champions and involving them in public policy dialogues. Q: Does the Toolkit focus on any particular kind of evidence or is it general? 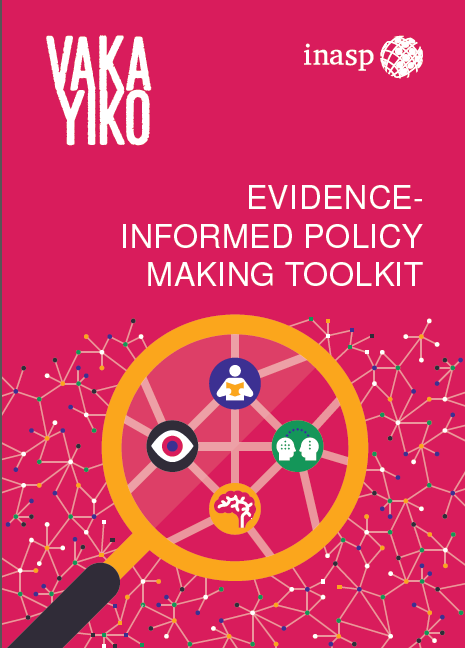 A: The Toolkit looks at four different types of evidence which are used in policy making: citizen knowledge (e.g. gained through stakeholder consultations), practice informed knowledge (e.g. 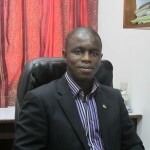 M&E reports), administrative & statistical data, and research evidence. It is not sector specific, instead focusing on basic principles of gathering and appraising information e.g. using a thorough search strategy and critically examining source, credibility and bias. But it can be adapted for specific sectors: we’ve had interest from colleagues wanting to tailor it to education, health, and gender. Q: You emphasize using actual working documents in the training. But have you had any confidentiality issues? A: Yes, in some cases it was difficult for participants to bring documents they were working on to the training room. That’s one reason we provide the practical handbooks, which civil servants can take and use in their own workplace. We also have practical case studies and scenarios which can be used if live documents aren’t feasible. It is important to message as early as possible with participants and trainers that ideally the training involves working on live documents. During the workshops we kept “Chatham House Rules” to ensure that everything that is said within the training will not be shared, assuring participants that everyone is free to participate. Q: What insight did you gain into organizational barriers to using evidence? A: Participants mapped the barriers to evidence use as part of Module 1: Introduction to Evidence-Informed Policy Making and we’ve documented some of these comments. 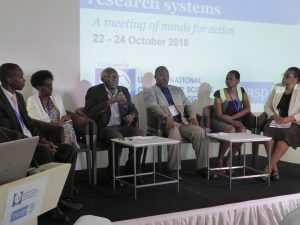 A few common threads relating to organizational issues were around resource constraints, lack of awareness about evidence use, limited access to research, poor linkages both within and between government institutions, and limited external networks with local research institutions. Although the starting point of the Toolkit is to improve individual skills, knowledge and attitudes, it also addresses some of these network and organizational issues. It can build networks for EIPM by gathering multiple different departments together (librarians, IT and research) in training workshops for a collaborative approach to evidence use within one institution, or by inviting external speakers from local research institutions. 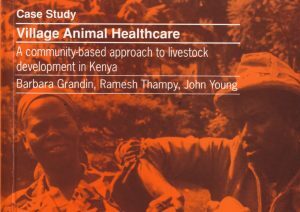 A key part of Module 2 : A Complete Search Strategy involves making participants aware of what research is available in their countries (usually far more than they realize); for this we produced a booklet of Online Sources of Evidence for Policy Researchers in Africa. Q: What kind of follow-up activities did you implement to ensure application of skills learned in the course? A: The Toolkit was part of a broader capacity building programme which included various follow-up activities such as mentoring and learning exchange, action planning, and revision of departmental policies and procedures. 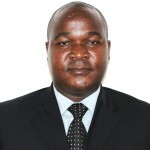 For example, we are mentoring six people in Zimbabwe, from the research departments of Parliament, the Ministry of Youth, and the Ministry of Industry and Commerce to implement action plans they designed from the training. New initiatives range from strengthening external networks with research institutions to creating a new evidence portal on the Ministry’s website, developing templates for reports and policy briefs, and clarifying the role of the research unit through a new ToR. Q: How adaptable is the Toolkit? Will other organizations be able to pick it up and ‘run with it’? A: The Toolkit has been designed to be usable by any practitioner or policymaker interested in promoting the use of evidence. The Introduction to the Toolkit explains how to use it and outlines its different components. It doesn’t have to involve training, as the handbooks, posters and booklet of online resources of evidence can be used on their own by civil servants themselves. In cases where it is used for training, trainer manuals contain detailed guidelines for delivering training sessions; the trainer may decide to deliver the whole course, choose particular modules or activities to incorporate into other courses or workshops. 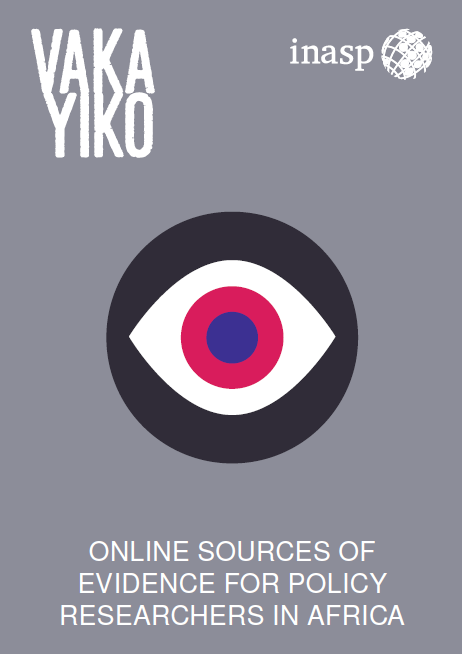 Having been initially developed for use in Ghana and Zimbabwe, during the VakaYiko programme the Toolkit has so far been adapted for Parliament of Uganda’s Department of Research Services as well as for gender analysis training for Sudanese civil servants.